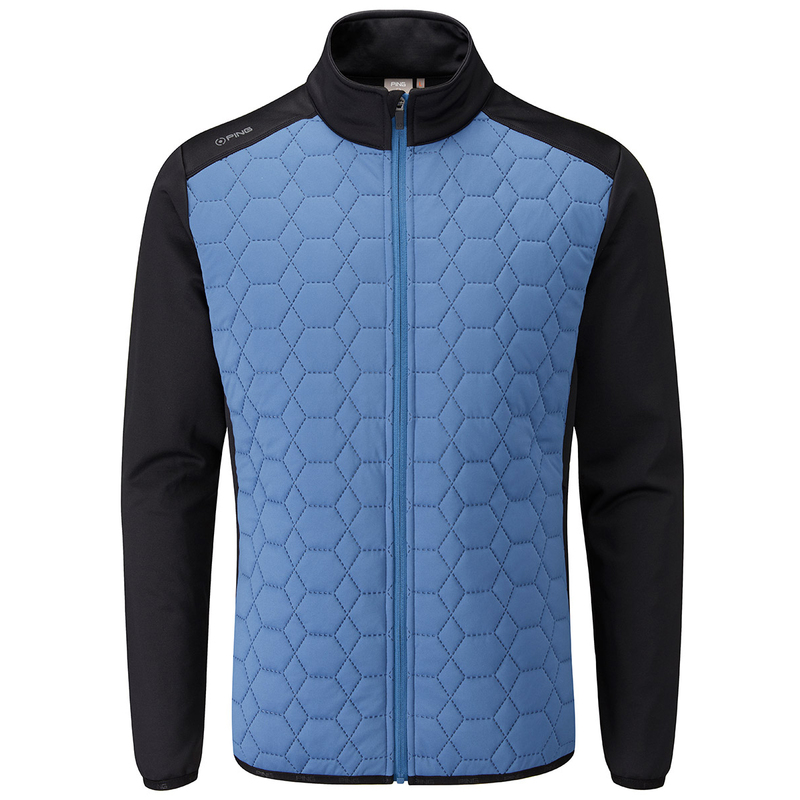 Stay on top of your golf game till the end of the season, with this outstanding ultrasonic quilted thermal jacket from PING. 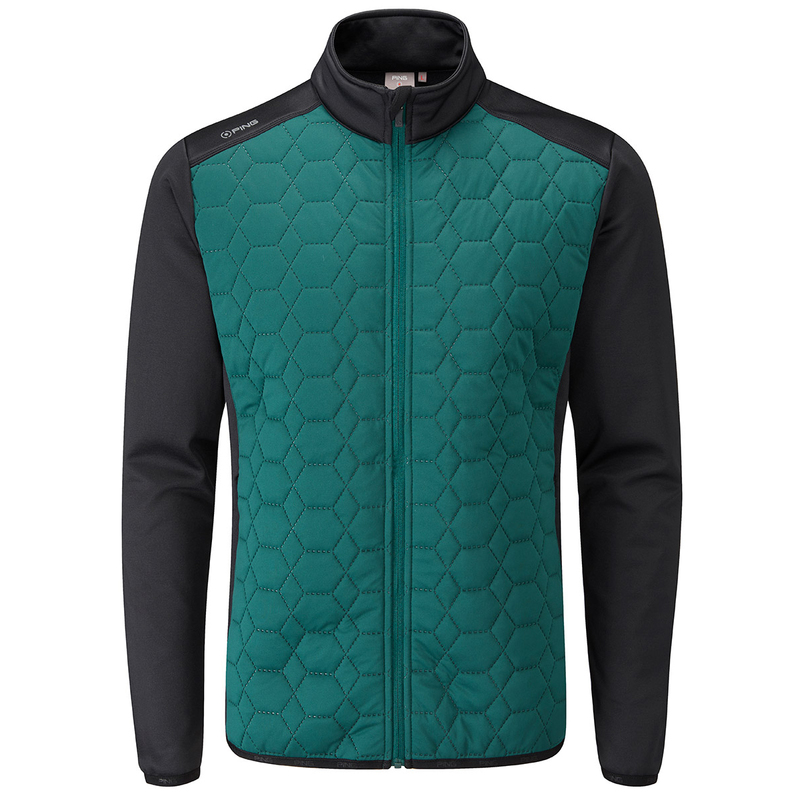 The jacket features a hexagonal insulated quilting pattern on the front to keep you warm, with brushed back fleece body at the rear and sleeves for total comfort whilst playing golf. The garment is stretch enhanced for greater mobility, and has stretch binding to hem and cuffs for a better fitting. This layer offers wind resistance, is water resistant, has 2 front pockets and full zip opening, perfect for playing the sport of golf.